You are here: Home / News / CrucialTec Wins New Patent. Should Apple Consider In-Display Fingerprint Sensors? CrucialTec Wins New Patent. 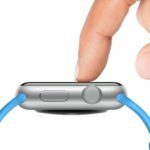 Should Apple Consider In-Display Fingerprint Sensors? 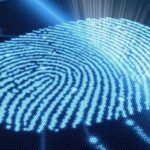 CrucialTec announced today (Feb 19th) that it has obtained a patent related to its display fingerprint solution in the US. 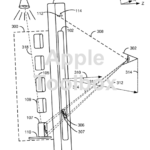 The new Patent includes a patterning system that improves the accuracy and resolution of DFS Sensors. Before iPhone X was released last year, there were a lot of rumors about how Apple could position an embedded fingerprint sensor in the display along with the true depth-sensing cameras. That never happened. Other Smartphone makers have rushed in to take advantage of this new form factor. At this year’s CES 2018, Vivo, a prominent Chinese Smartphone maker was the first to display this technology. 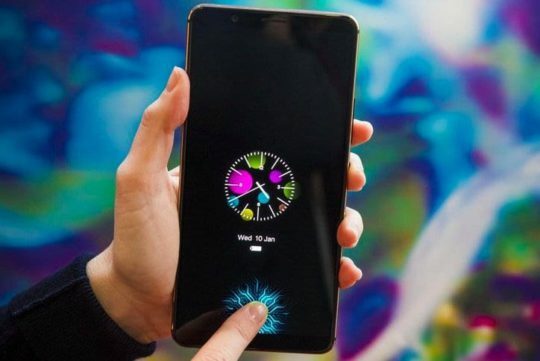 Samsung is yet to release any new phones that integrate the fingerprint sensor under the display. Vivo is using the Synaptics optical sensor in its Smartphone to achieve this. Although the technology looks cool, it was a little slow. Users need fast and accurate fingerprint sensor these days. It is possible that the new patent that CrucialTec won today could change the dynamics around this new emerging technology by making sensors that are more accurate and faster. Ahn, chairman, and CEO of CrucialTec, a Korea-based biometric solution developer, has been making investments for the development of the company’s patented Display Fingerprint Solution, or DFS, since 2012. 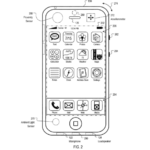 For years now, we have seen various patents from Apple that address how it plans to achieve this technology in its future phones. 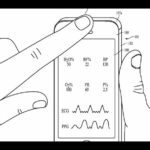 Last year, PatentlyApple covered in details the various patents from Apple as well as CrucialTec’s position when it comes to this technology. The bigger question is if it makes any sense for Apple to invest in this technology given that the FaceId based authentication systems are state of the art and have become the leader in biometric identification. It is possible that Apple may release its own embedded under display sensors for non-iPhone X models in the future, but I would think that given the success of FaceId, Apple may use it as the technology of choice for all future product platforms. After all, if it can achieve economies of scale with its FaceID technology in a few years, it can afford to shy away from DFS based sensors. What do you think as an iPhone X user? 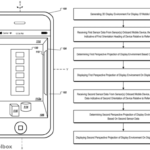 Would you like to see an embedded fingerprint sensor under the display in future iPhones?